Which valve stem seals leak - Page 8 - Miata Turbo Forum - Boost cars, acquire cats. Engine Performance This section is for discussion on all engine building related questions. I was all set to do this job and realized NB's have shim over bucket lifters which I assumed had to be re-shimmed. You're saying you can just put the same shims back in? Replacing valve stem seals does not, by itself, require re-shimming, so as long as you keep track of which part came from where and put them back in the same place you'll end up with the same lash gaps as you had before. That said, if it's been more than 30K miles since the last time you adjusted the valves there's probably at least one that's out of spec and this is a good opportunity to fix it. I recommend picking up a couple of those little plastic storage bins with movable dividers to use in storing the parts. You can write on the top surface of them with a sharpie to indicate which ones came from which hole. Thanks - head was rebuilt 2 years ago and only used for 2 race seasons. I'll check lash first and make sure they're within specs. Good idea about parts bins - was going to use ice trays but probably a good idea to have something with lids!! Would appreciate some help with re-assembly of the stem holder and keepers. I'm using the leslie tool to get the keepers back onto the grooves in the stem. However, after multiple attempts the keepers seem to be sitting about 2mm higher after reassembly compared to the stems that I haven't disassembled yet. The end of the stems with the old seals are about 2mm above the keepers - I'm guessing that the top of the keepers is wrapped around the stem groove. However in the seals that I'm trying to reassemble it appears as though the bottom of the keepers is around the groove and the top of the valve is nearly flush with the top of the keepers. I have the wider end of the keepers towards the top with the narrower end towards the valve seals. To be clear, the keepers and retainer are definitely fixed in place and aren't moving at all once reassembled but the configuration looks different than the ones I haven't done. I've tried adjusting the starting position a few times to make sure the keepers are not fully sat into the retainer in case that was preventing them from opening over the stem but no luck getting any different result so far. I think I'm hitting it more than hard enough and any more at this point seems excessive. TLDR. Take a picture. If they don't look the same, they aren't seated. Slip a Ziploc bag in between your spring compressor tool and the keepers. It helps drive them in. I'll try with the bag. I attached a picture of my reassembled seal, you can see how the valve stem is recessed below the keepers. Yep. That hasn't seated at all. Was up a clean rag below the head of the valve you are compressing so it can't move at all when you compress the spring. Slip in the Ziploc plastic to push in the keepers. You can double up the bag if it tears. this is most certainly wrong. Looks to me like you have the bottom groove of the keeper where the top should be. Grease the keepers on the inside surface, and use a small flathead with grease on it to install the keeper. Compress the spring quite a bit, rotate the retainer side window so you.can access the keeper groove. edit: this is probably still on the car. My way probably won't work too well for you. I've got nylon rope inside and have the cylinder pushed up as much as it will go so I think things are pretty tight on that end. For the ziploc do I just lay some flat on top of the keeper/retainer assembly while using the tool again? Are you referring to doing this with a fixed compressor tool? Not sure I can make any adjustments with the Leslie tool since it all happens inside the tool. I guess worst case I can try to find one of those compressors you attach to the block and it pushes the spring down manually instead of the Leslie tool. Yep lay it flat. I posted a pic earlier in this thread. Make sure when you install the keepers that the raised inner lip is on the end down closest to the combustion chamber. Also, if you're doing this with the head still on, there's a chance that you don't have enough rope in the cylinder. I used Paracord, which is thin enough to really fill the cylinder. If you don't have enough rope in the cylinder, the valve will move down when you compress the spring, and the keepers won't seat even when you bottom out the valve spring. Turns out my issue was just using a light hammer. 4lb hammer made easy work of getting everything seated. However, I think I bent my exhaust cam taking this all apart. 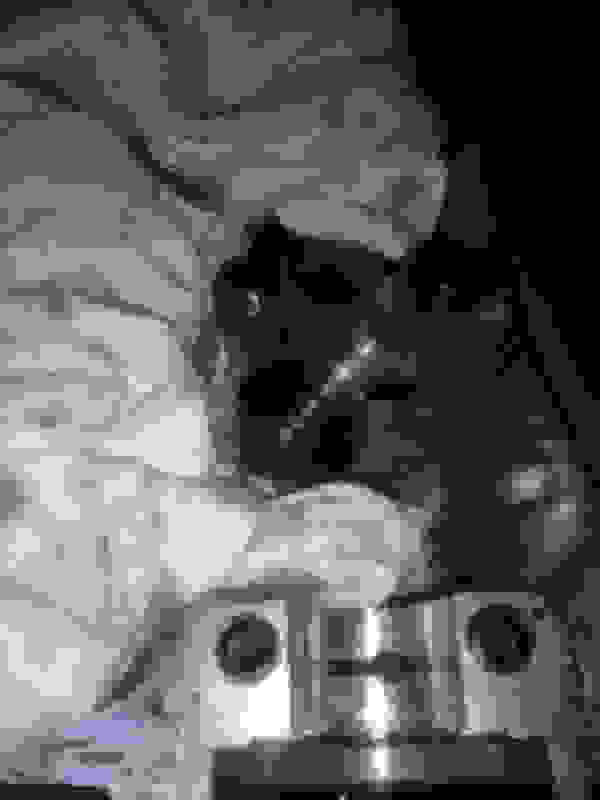 My cam won't rotate past the point of where cylinder 4 exhaust valves are pushed down, in either direction. Is this something I take to a machine shop to check and fix or how screwed am I here? Am I crazy to try putting the intake cam onto the exhaust (along with the respective caps) just to verify it's a bend shaft and not something else? You probably bent a valve, and now it's contacting the piston. You've drifted this thread of topic though. You should start your own thread. I will add some notes here as well. I used Felpro seals on my 1.6 NA about 8 years ago. The limiter is soft 8000 and 8200 hard, and I have been on the limiter quite often. The engine is seldom running under 3500 rpm while being driven. I have also logged over 2000 km’s on the dyno. Cams are 10mm with single Supertech single springs. 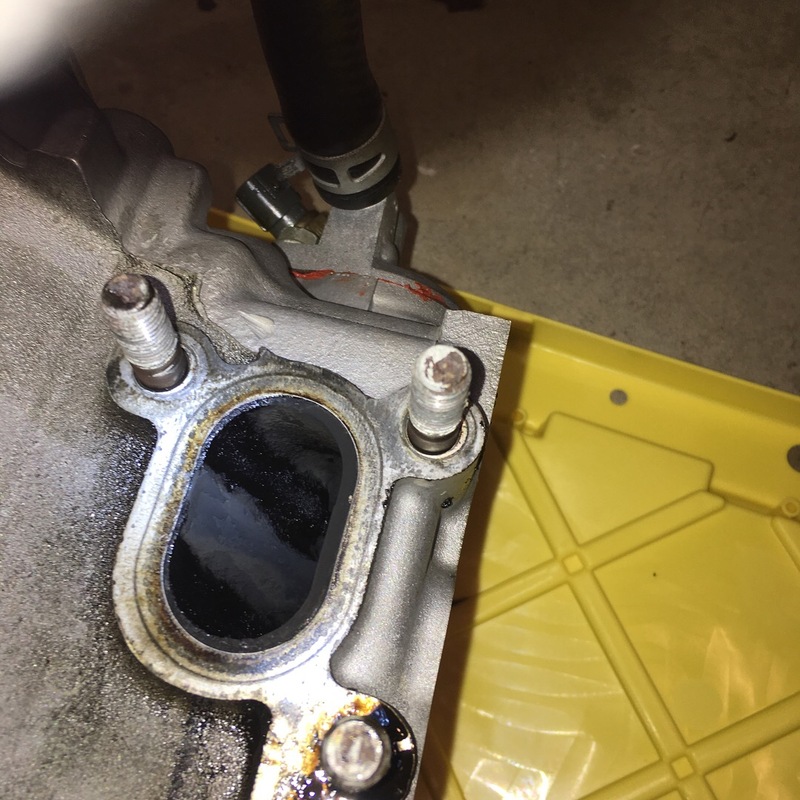 I had the engine out last summer for other maintenance and there was virtually no signs of leakage on intake or exhaust. I am currently building a VVT motor, and it will be getting Felpro seals too. I have nothing against the Supertech seals, and have used them on one MSM build with 100% success. I do believe the install is key to good service from any guide seal. If you don't use some sort of condom on the stem when sliding on the seal you are just begging for issues. Also if the valve has to come out, it needs a new seal. Seals will not survive the keeper groove being pulled through the seal. Always check to make sure the seal spring stays in place. Too much press on the seal can also damage them, just push enough to seat them onto the groove on the guide, and keep the tool as straight as possible. I do not like to see the tool rotating while pushing on the seal. I like to lube with silicone lube (Super Lube) it is very slippery and washes away easily. I will also note that guide clearance can also be an issue with oil control at the guides. Honing to size and adding a crosshatch will help control oil passing through the guide along the stem as it will help hold the oil there, remember that oil is needed to lube the guide and stem while the engine is running. Just because the guide and the valve are both new does not insure proper clearance, or that they are straight. These areas need attention during a proper build, to ensure oil control and seat concentricity. Leaking Supertech seals here as well. My engine was built in the fall of 2016. I, nor my engine builder had any idea of the Supertech seal issue. My engine has consumed oil since day one of break in. I broke in the engine on 30wt Valvoline oil and switched over to Mobil 1 at about 800 miles. Switched Rotela T6, but the consumption continued. I foolishly thought the rings never seated. This weekend I removed the head for leaking intake valves in cylinder #1 (valve seat leak, not valve oil seal leak) and found clear evidence of oil going from the opening for the valve in the head out the exhaust manifold. Found this thread last night at 2am because I could not sleep with the troubles this engine is giving me. The head is at the engine builder for the valve seating problem. He will be installing OEM valve seals. Here is a picture of one of my exhaust ports. BTW, I had a BE oil pump installed on this engine with one of the leaking front oil seals. Oh the joys of modifying our cars. Ken, did your builder replace the valve guides when the motor was built? I do not know, but I will ask. Do you think this may be valve guide wear and not the valve seals? That's my theory. The Supertech/US Seal bits are far, far less tolerant of loose guides than the OEMs or Felpros. We used Supertechs for years and years, including in half a dozen motors I built for myself for various cars, and both of my current motors use them, and neither one has any problems with oil consumption or smoking. ~10yrs ago every 3rd or 4th head would get guides, usually the high-mileage nasty cores. Now it seems like half the heads need 8 guides and half the heads need all of them done, regardless of condition.